Like with most good things, it takes a bit of effort to get to The Rooftop. Co-owner Neil Dy shares that they might put up a signage soon, but for now, the secrecy is part of the allure. 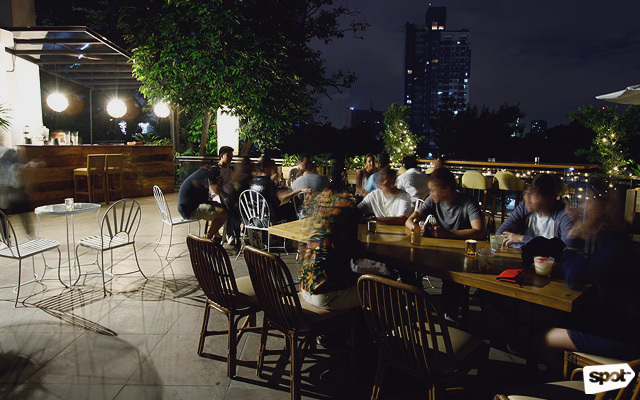 After a series of winding steps inside CCA's library, you'll stumble upon Katipunan's first rooftop bar. 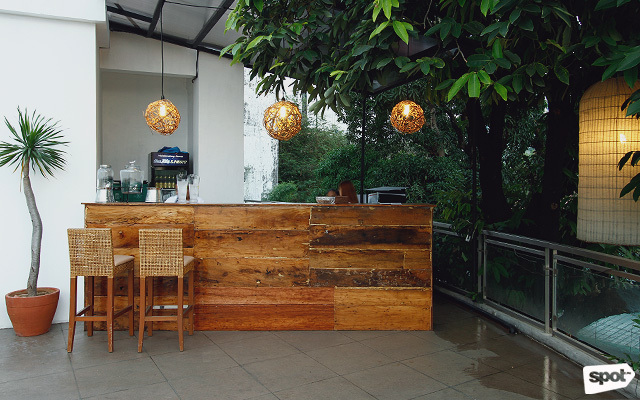 With garden chairs, sofas, potted plants, and fairy lights that look gorgeous in the twilight, The Rooftop gives off the vibe of a chill house party. Patrons, mostly students in the area, mill around freely; the spacious area ensures it doesnât get too stuffy even on busy nights. If you arrive on a good day, you might even catch a beautiful cotton candy-like sunset; but on most days, you still get the surprisingly breathtaking view of the rest of Katipunan. "Most of our friends told us that a lot of the bars in Katipunan can get very congested," shares co-owner Pia Trinidad. "So we said, 'Okay, let's keep things chill, very airy, [and] relaxed. Our music isn't too loud, you can talk to your friends, and you don't have to rub elbows with anyone if you don't want to.'" 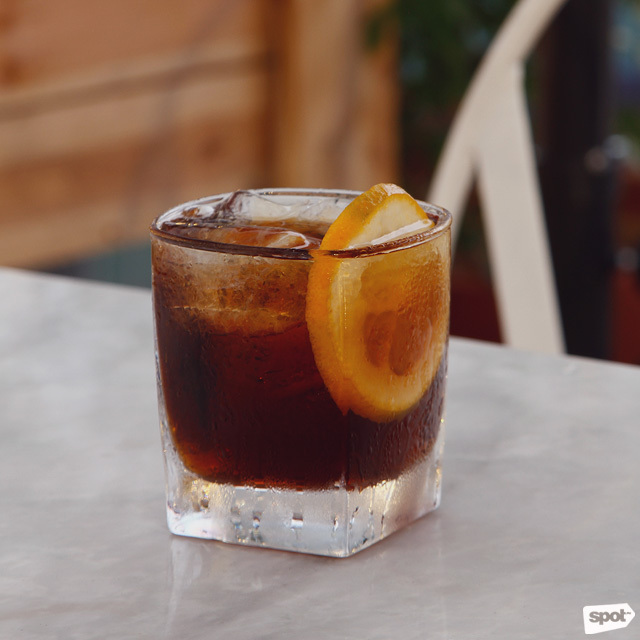 The Rooftop is the brainchild of six friends—Pia, Neil, Gaby Concio, Jonathan Chantong, Yami Garcia, and JP Gomez—who were all hands-on in bringing their concept to life, from mixing the drinks to bringing in decor. "We didn't talk to any architect or designer," shares Pia about how the space came to life. "It was one day of us working together, carrying things, and going 'Oh put that sofa here. Put that plant there.'" Perhaps it's why Rooftop Manila feels so welcoming, like a laid-back open party among friends and friends-of-friends. 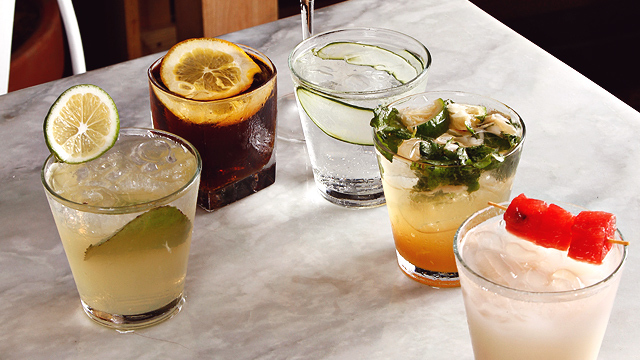 The cocktails, mixed by JP, are just as unfussy. 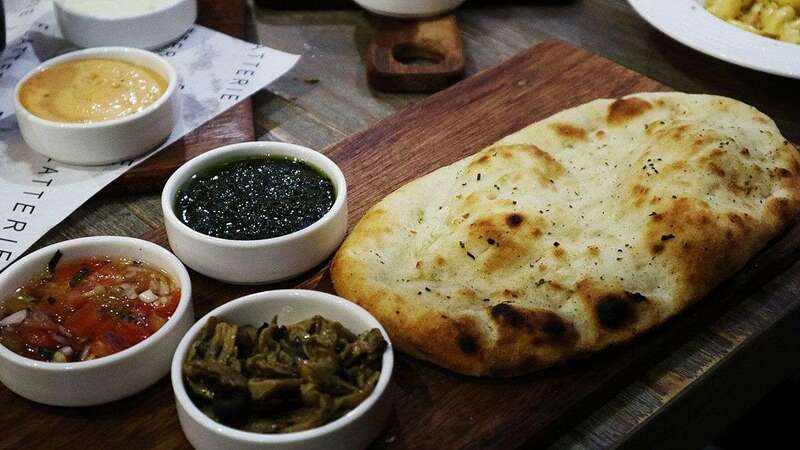 "We didn't want to serve anything too complicated," says Pia. "But they look nice and theyâre fresh." 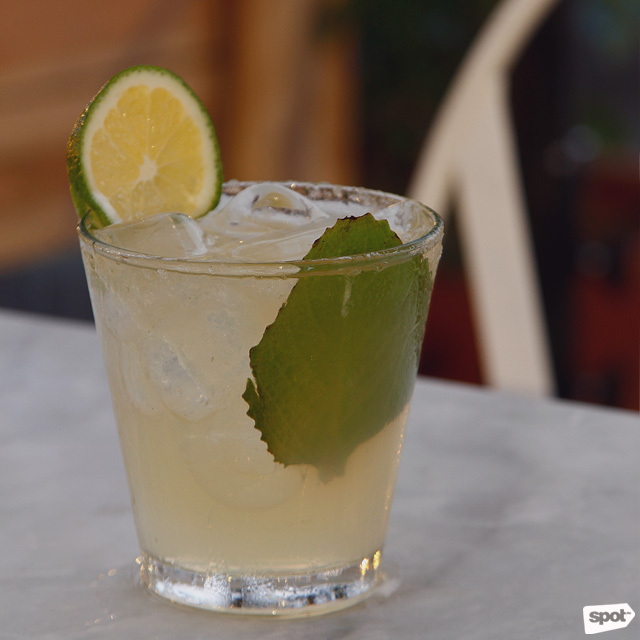 Fresh is the best word to describe the Lychee Mojito (P80). With the distinct fruity sweetness of the lychee masking the buzz from the white rum, you might end up downing more than one of thisâbut trust us when we say this cocktail packs a hidden punch. 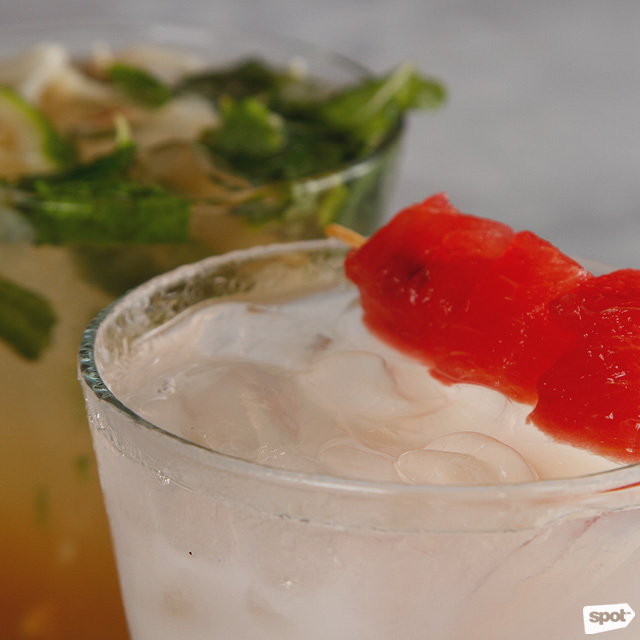 Watermelon adds a tropical twist to the classically Korean Soju Yakult (P150), while the fresh herbs picked from CCA's garden shine best in the Dark & Stormy (P100), with mint leaves adding earthy notes to balance out the full-bodied flavor of scotch. 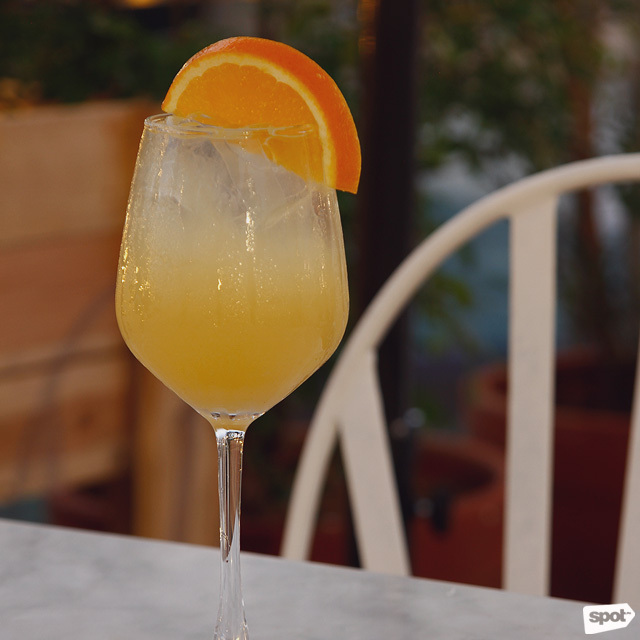 But if there's a drink that best fits The Rooftop, it's the sunset-colored Pineapple Spritz (P100). 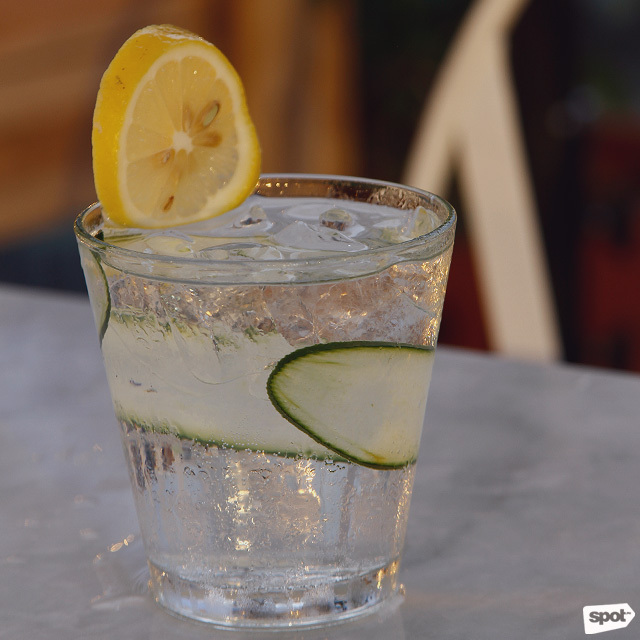 With pineapple juice, club soda, orange, white wine, and white rum, this cocktail has the spritz of soda and the refreshing zest of citrus. 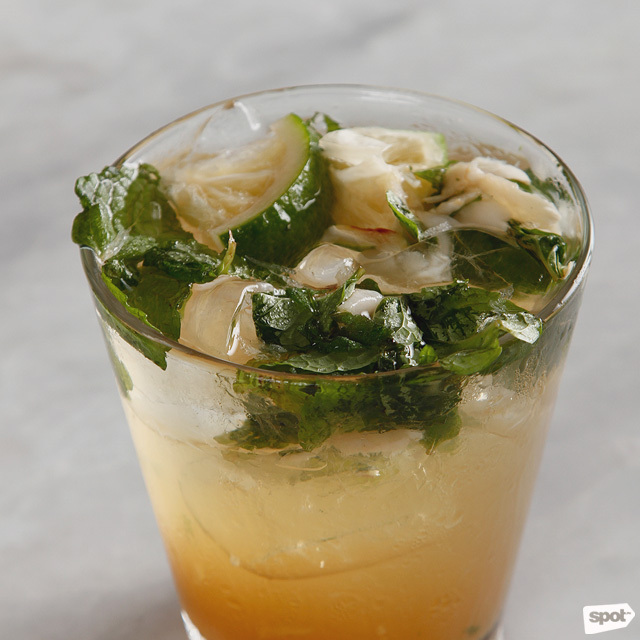 Itâs a drink you want on hand while lounging by the beachâor to toast the setting sun with at the end of a busy day. It's always a treat to discoverÂthat something that already seemed all too familiar, still has surprises up their sleeves. 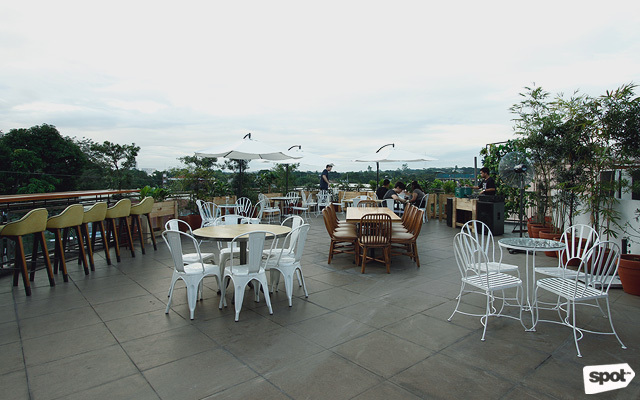 For Katipunan regulars, The Rooftop lets you rediscover a place you might already consider home. 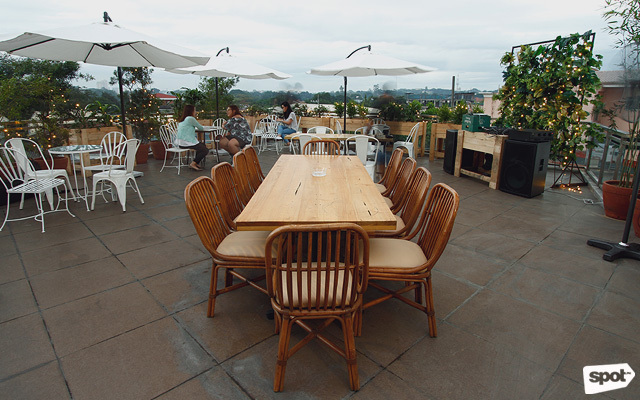 But even those new to the area will enjoy how this rooftop bar lets you in on a rarely seen view of the neighborhood. 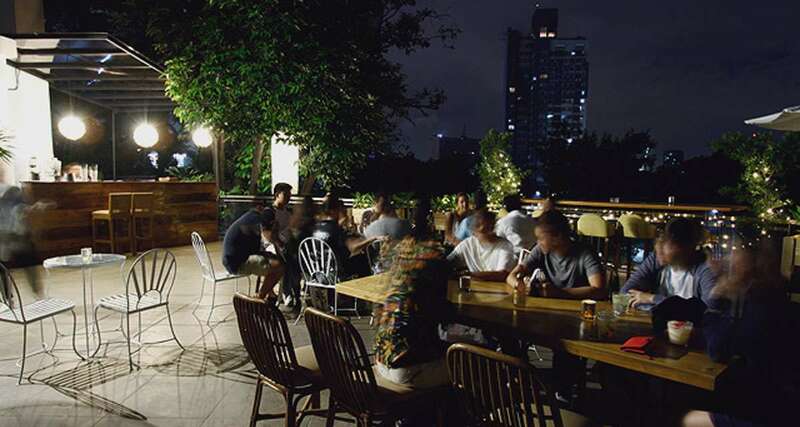 Combined with a welcoming vibe, chill music, and refreshing cocktails, The Rooftop is well on its way to becoming a staple in the Katipunan drinking scene.